Singapore Airlines’ regional wing, SilkAir, has selected Thompson Aero seating for the upgrade of Business Class seats on its Boeing 737 MAX 8 fleet. The upgrades will commence in May 2020 and will feature new lie-flat Business Class seats in a forward-facing staggered layout – in line with SIA’s regional Business Class offering on its Airbus A350-900 medium-haul and Boeing 787-10 fleets. SilkAir currently has five 737 MAX 8s in its fleet with another 32 on order. The new seats will be retrofitted onto aircraft already in the fleet, and installed at the time of arrival in Singapore for aircraft not yet delivered. The upgrades are part of a move to more closely align SilkAir’s products and services with those of SIA in preparation for its merger into SIA. 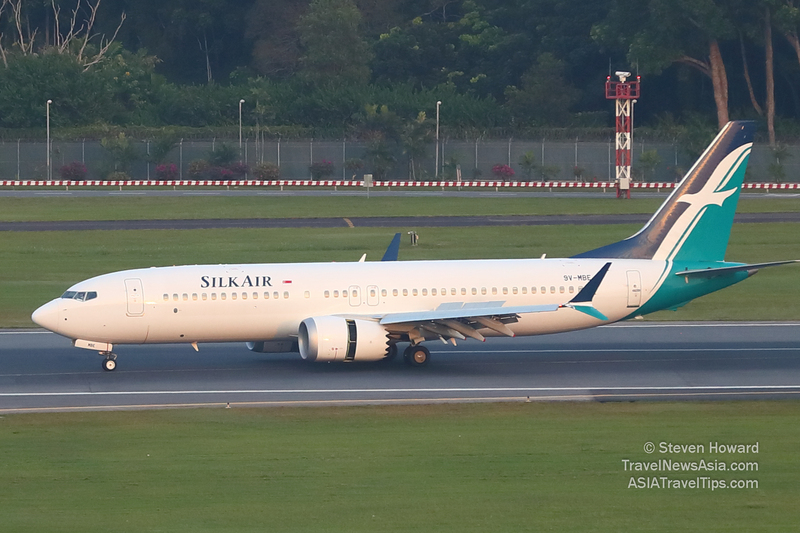 The merger will eventually encompass a full re-branding of SilkAir as SIA, with repainting of aircraft and adoption of SIA’s service delivery. The upgrade programme will also see the installation of new seat-back in-flight entertainment systems in both Business Class and Economy Class. An announcement on the supplier for these systems is expected soon. See latest HD Video Interviews, Podcasts and other news regarding: SIA, Singapore Airlines, SilkAir.